TANCAN® Professional Self-Tanning System is manufactured and developed in Sweden, with carefully selected ingredients. Now you can easily get an efficient and modern tanning treatment without the hustle of getting to a salon - which saves both time and money! The TANCAN® range has everything you need for a successful self-tanning. The colour is impressive after only one application - a natural and long-lasting golden tan. Now it is easy to get that perfect fresh summer look all year around! 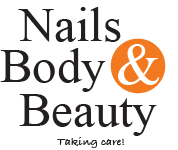 We aim to offer you who care about the whole body's well-being, quality products from leading brands like Sans Soucis, Biodroga, CND, OPI, Artdeco and many more.. and to give you the service and knowledge needed..